Ontario Certified Teachers (OCT) can take their official qualification to become a Spanish teacher! 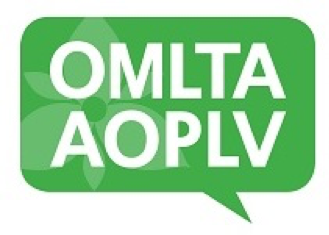 The OMLTA/AOPLV has teamed up with Nipissing University to offer this course since 2013. Each spring/summer session, Nipissing offers the Spanish, Part 1 Additional Qualification (AQ) course online to all interested educators who are successful in a proficiency test (equivalent to the B2 level of the CEFR). This is the only course of its kind in Ontario! Taught by knowledgeable instructors with ample experience teaching Spanish, the course is a dynamic, relevant, and up-to-date Additional Qualification that will effectively prepare you to become a second language teacher. The course duration is approximately 11 weeks from late May to early August, allowing for some flexible deadlines during the summer holidays. Proficiency tests run from March to early May, and are required for all applicants, including first language speakers of Spanish. As this is a Part 1 course, no university/post-secondary credits in Spanish literature, language, etc. are required. The OMLTA/AOPLV is proud of these initiatives to support present and future International Languages teachers in our province! ¡Oiga! Are you already a qualified Spanish teacher? Nipissing also offers the Part 2 course during the same time each summer! Even more dynamic and relevant content for educators is covered; feedback has been universally positive from all who have taken this course since its inception in 2017. Registration for spring-summer 2019 proficiency test is open from February 1-April 26, 2019 only. ¿List@s? ¡Visiten https://www.nipissingu.ca/aq e inscríbanse ya!